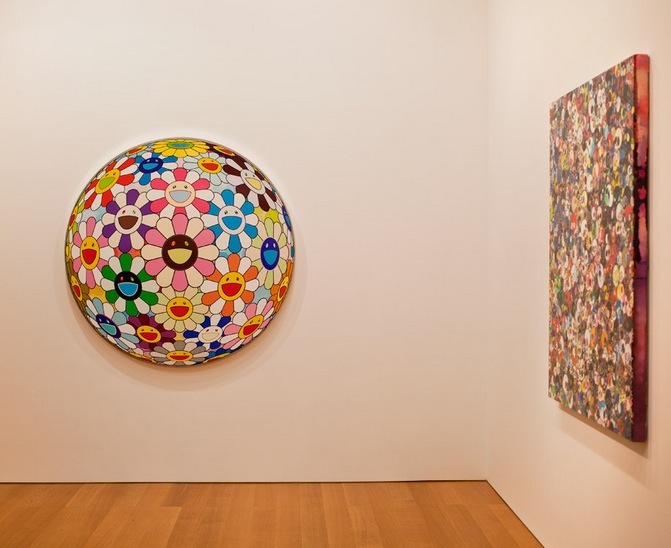 Just very briefly: I saw Japanese art superstar Takashi Murakami at the Gagosian Gallery a few weeks ago. I (almost) forgot to blog about it. 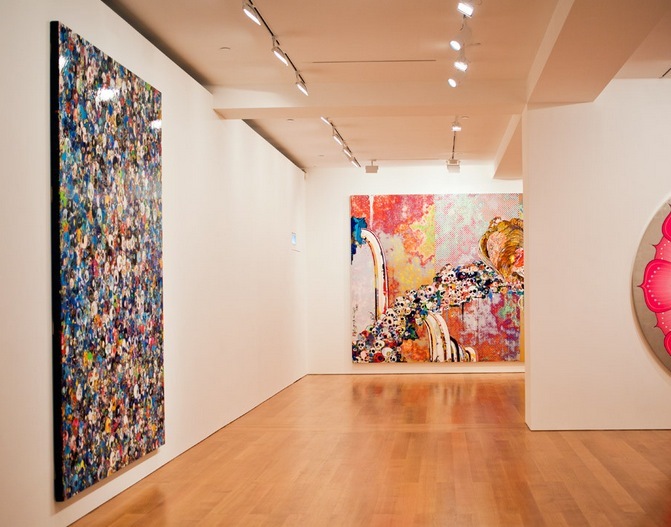 I just saw one of his images online earlier today and remembered the exhibition (it already closed on Feb 9). 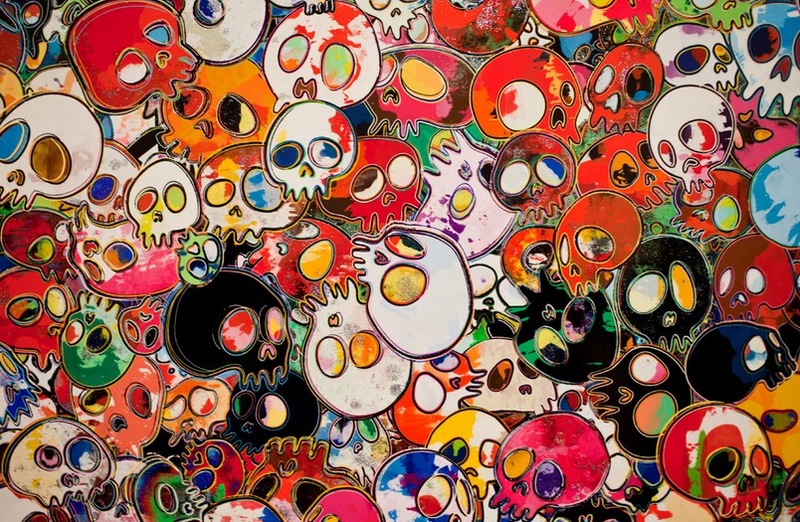 It was his first exhibition in Hong Kong and it explored one of the central dichotomies of his art—between joy and terror – so lots of bright smiling flowers and disturbing representations of skulls. 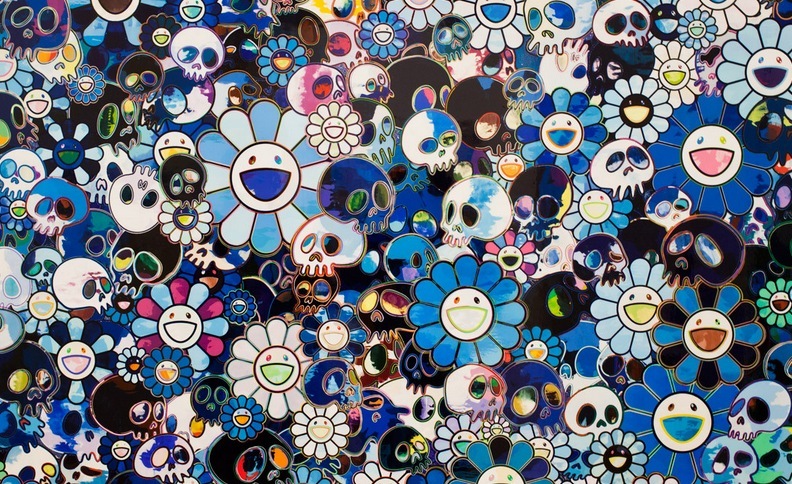 This was also the title of the show: “Flowers & Skulls” showing 14 paintings including the Blue Life Force. 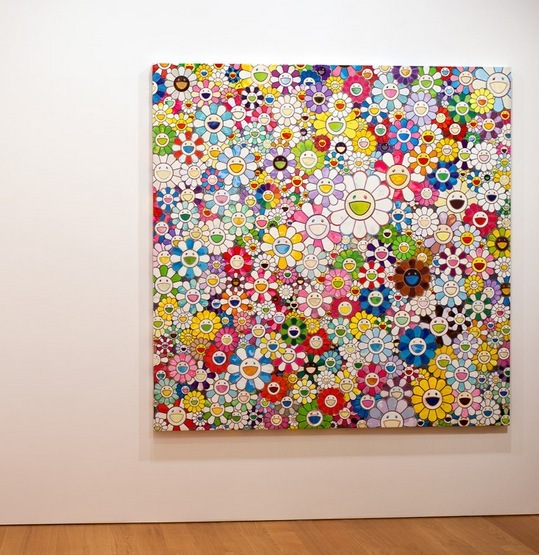 Takashi Murakami was born in 1962 in Tokyo and his work has been shown extensively in group exhibitions around the world, and in one-person exhibitions at leading institutions such as the Serpentine Gallery, London; Museum of Contemporary Art, Tokyo and Museum of Fine Arts, Boston.